OverviewSnowboard Supercross (SSX) is the ground-breaking PS2 launch title from EA Canada. It helped pave the way for many similar "extreme" sports games. This is the first game in the SSX Series. The recently released game of the same name is the 6th game in the series. SSX (Snowboarding Super Cross) is obviously a snowboarding game in which you can play as a number of characters in an over the top environment and can do tricks such as breakdancing on your board whie doing a front flip. With all the usual stuff like unlocking new tracks and gear etc. Now you can add videos, screenshots, or other images (cover scans, disc scans, etc.) for SSX (USA) to Emuparadise. Do it now! If you haven't noticed yet, we have a retro game of the day feature (top-right of the screen) wherein we feature a new retro title every single day! Now, you can vote for your favorite games and allow them to have their moment of glory. 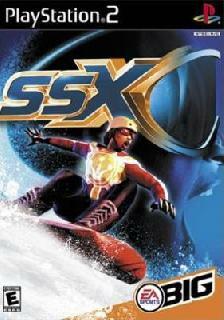 Click on the button below to nominate SSX (USA) for Retro Game of the Day.